I was listening to the Spurs/Griz Game on Satellite radio in my car the other day. It was the Spurs home broadcast and I was struck by how insightful and honest an analyst Sean Elliott was. That made me think back to this interview I did with him several years ago, conducted from china, as he was in a car on the way to the team plane. 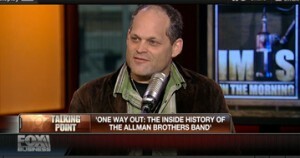 He was smart and insightful and I somehow ended up talking quite a bit about coaching. Maybe because he was being unusually honest about player/coach dynamics and relationships… And I mean unusual not in terms of him, but in terms of athletes in general. I was very pleased to see this interview was one of the Old School classics reposted on Slam Online. So now, in honor of the Spurs’ impending NBA Playoffs implosion at the hands of the feisty Memphis Grizzlies, I present to you…. Sean Elliott made history. Come read about it. 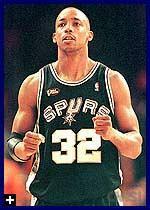 Sean Elliott will always be remembered as the first professional athlete to return to action following an organ transplant. On the one hand, that’s how it should be; few of us will ever comprehend the effort it took to return to the Spurs in 2000, less than a year after his older brother Noel donated a kidney that saved Elliott’s life. On the other hand, it overshadows the fact that, for more than a decade, Elliott was a very good NBA player. The starting small forward for the Spurs’ 1999 championship team, he averaged 14.2 ppg, 4.3 rpg and 2.6 apg in 12 seasons, 11 of them spent in San Antonio. Click over to Slam Online to read the whole interview.